Here are some of the ways we minister to the world OUTSIDE the church. To see a list of ministries INSIDE the church, CLICK HERE. Here are the projects for Christmas 2018 Christmas Outreach Donations 2018. Your generosity is greatly appreciated. For details of any of these programs, please contact us. Any time the wind-chill gets to 20ºF or colder, we open the church as a shelter from 2:30 p.m. to 8:30 p.m., after which time the Salvation Army opens and provides a place for those seeking shelter to sleep. Our guests are offered soup and sandwiches. At least one person from Friendship House provides supervision. CLICK HERE to learn more about our Code Purple ministry. The Community Advocacy Committee sponsors the Angel Tree project which provides Christmas gifts for families (mothers with children) who are residing in Friendship House’s transitional housing. As always, you can select a “gift angel” and purchase the gift indicated on the angel. Gift request angels are given out around Thanksgiving and the gifts themselves are due back two weeks later for distribution. Early every December we collect presents for our friends who attend Sunday breakfast. Gifts of a scarf, hat, warm gloves, socks, or toiletries are very much appreciated. 99% of our breakfast friends are male, so plan accordingly. (If your gift is for a woman, PLEASE mark the package prominently.) Note: The cost of each gift, individually wrapped or bagged, should total approximately $5 to $7 each. When the winter and cold temperatures approach, our homeless friends need thermal underwear. 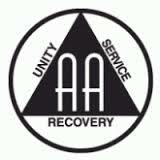 In response, the Community Advocacy Committee has UNDEE SUNDAY every November. 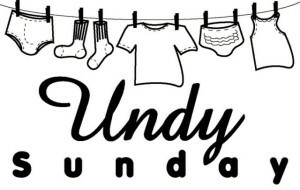 CLICK HERE to learn more about Undee Sunday. Wilmington Garden Day is an annual tour of gardens and homes to benefit charities in Wilmington, Delaware. Wilmington Garden Day began as an Episcopal ministry of this church’s forebears. Help Friendship House achieve its goal of 300 walkers and $40,000 by joining the SsAM Team. This year, the Highmark Walk will be on Saturday, June 8th at Frawley Stadium (Riverfront/Wilmington). If the SsAM Team has at least 25 walkers, we are eligible to receive an additional $1000 for Friendship House! If interested, contact dlcasson@ssam.org. Funds are regularly collected during worship services by our Community Advocacy committee to help people locally. This national program encourages prayers of thanksgiving while depositing spare change into little blue boxes that are then brought to church once a year. CLICK HERE to learn more about the United Thank Offering and the many ministries it funds. 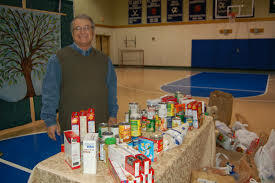 Every Sunday members drop off non-perishable food items at the front of the church to support the St. Patrick’s Food Pantry. 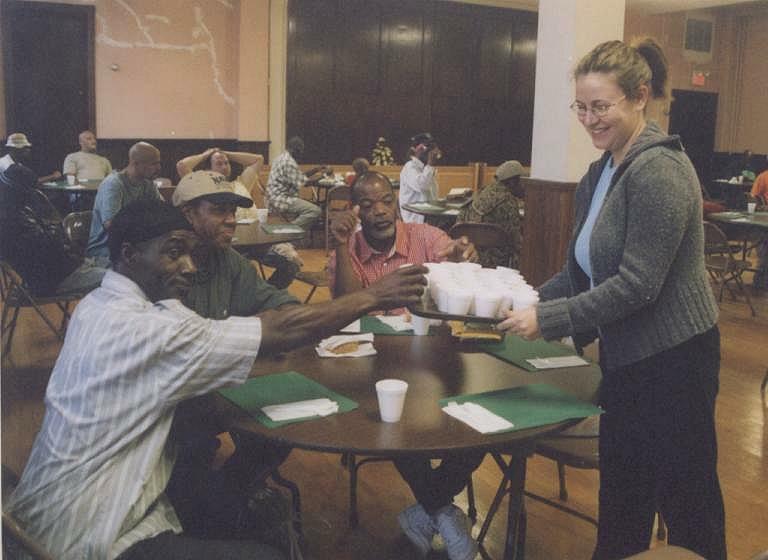 Our church has an active partnership with Friendship House, a Christian ministry committed to making a difference in the lives of the homeless through hospitality, education, empowerment and community. The lower floor of our church building is dedicated to the Empowerment Center, which is a center that has counseling, case management, computer lab and advice during the day. At night, that space becomes Andrew’s Place, where men can find shelter, food and fellowship. For details, visit the Friendship House website. Each Sunday morning between 6:30 to 8 a.m. seven local church communities, including SsAM, take turns preparing and serving a hot, healthy breakfast to people who are hungry. This ministry is also managed by Friendship House. Each Sunday morning at 8:00 a.m. SsAM hosts a nondenominational interactive service in the Chapel immediately following the Sunday Morning Breakfast Ministry. This service is especially designed to minister to the spiritual needs of those who attend the Sunday Morning Breakfast, but is open to everyone. This inspirational gathering includes hymns, prayers, a homily and the sharing of life experiences. Those who wish to participate in this ministry are invited to contact the church office. Several meetings a week are held at SsAM. Monday-Friday at 7:00 a.m. and noon; Fridays at 8:00 p.m. and Sundays at 9:00 a.m. Look for the steps just before the entrance to the Parish House. The fourth Sunday of each month, SsAM parishioners and ministers share their faith and love by assisting residents of this skilled nursing center at a Holy Communion service. Our parish supports the worldwide outreach efforts of the Episcopal Church. We encourage you to visit the website of Episcopal Relief and Development. Environmental Justice advocacy is needed now more than ever. As we go into the world as followers of Christ who care for all, we’d like you to join us. Participation in this ministry is also an excellent way to take SsAM beyond our walls and to get to know some of our neighbors. Please speak with Paulyne Webster or Linda Whitehouse for more information. Monthly meetings occur on the third Wednesday of the month at SsAM and the Delaware Concerned Residents for Environmental Justice (DCR4EJ) have an office at SsAM. SsAM is a partner-in-mission with Lutheran Community Services. CLICK HERE to learn more about LCS and their effort to serve those in need in Wilmington, Delaware. SsAM provides office and meeting space for Network Delaware, a citizen led, grassroots organization which build multi-issue community leadership across the state. SsAM is a member of DCMEP which works by educating, elevating and advocating for justice and peace in the Middle East. Sojourners’ Place – transitional housing program to help those recovering from drug or alcohol abuse. St. Michael’s School and Nursery – scholarships for children; the school gives out $30,000 per month in scholarship aid. For details of any of the above ministries, please contact us.